Express Preparation: Requires 6 months. Suitable for those who do not have a very tight work schedule and can take out a good relaxed 4-6 hours of time to study each day. Laid Back Preparation: Requires 1 year. Suitable for those who have a very busy work schedule and cannot devote more than 2-3 hours per day of study time. Until you don't book a date, your brain will be in a denial about the exam preparation and you will be as lazy as a toad. So if you are really serious, book a date at the earliest. What to read to crack MRCS again depends on when are you starting your preparation. One month before the exam stop reading anything new and focus only on the revision. Stick to MCQ/EMQs for your revision. Try to take a glance of all of them atleast once. Keep a track of time, remember you have less than a minute to attempt each question. Time is one of the important factor which will determine your success. If you have studied well, you will definitely clear the exam. 1) What is the best time for appearing in MRCS Part A for Indian doctors? For MRCS Part A, the best time to prepare and appear in exam in my view is 2nd year, because you have had a good practical exposure to most clinical situations which are asked in the exams by then. This will make reading theory and attempting questions more interesting. 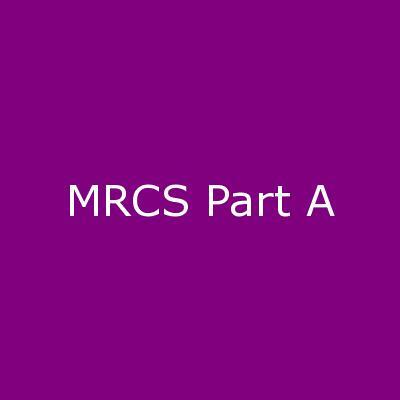 2) Can I appear in MRCS Part A after after successfully completing my pg entrance exams? However if you think you have enough time available after your pg entrance exams, and you think you are comfortable with basic knowledge of supespecialties like urology, vascular surgery, orthopaedics, neurosurgery etc, you can go ahead with MRCS Part A. 3) What is the best time for appearing in MRCS Part B exams for Indian doctots? For MRCS Part B, the best time to prepare is 3rd year, you are very strong clinically by then and you will be able to prepare with minimum effort. Your probability to pass the exam will also be higher. In addition to it, it will also help in preparation of final year general surgery clinicals. 4) After doing MRCS part A, within how much time we have to pass MRCS part B? After passing part A, you are required to pass Part B of the examination within seven years. Otherwise successful MRCS Part A result will be considered as expired. 5) Is MRCS Exam mandatory for doing FRCS? There can be a direct entry to FRCS too but for experienced surgeons only and that too after satisfying a lot of other criteria. But MRCS makes it easier to get GMC registration, Royal college sponsorship, fellowships and jobs in the UK. 6) Can I start my preparation for MRCS immediately after finishing my housejob? You can start your preparation for MRCS Part A immediately after finishing your housejob but it is always better to have some basic surgical experience before you appear for MRCS Part B. 7) Is MRCS Degree of any use in India? A degree from western country adds to a surgeon's bona fide. It shows that your standard of knowledge matches the international standards. 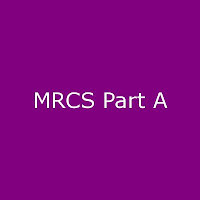 That is the reason many specialists resort to naming the institution or University from which they obtained the MRCS/ FRCS in brackets after the degree. MRCS is a very standardized examination with emphasis on basic sciences. MRCS can authenticate minimum proficiency in the basic principles of General Surgery.